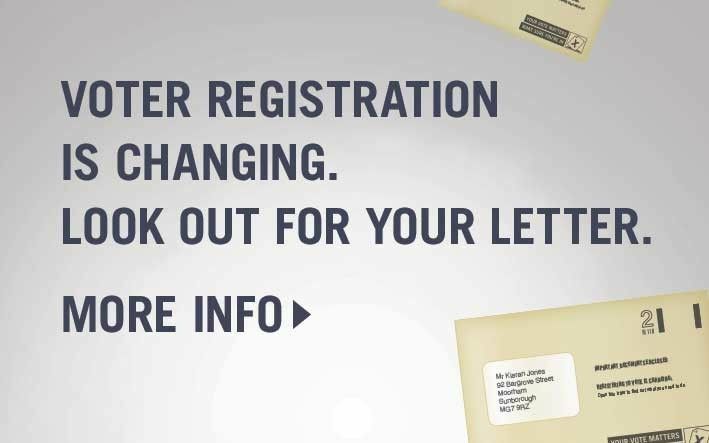 You may have seen articles and adverts in the media about a change to the way everyone registers to vote. Individual electoral registration (IER) has been live since June 10th and is a major change in the way people register to vote. It moves away from household registration to individual registration, where a person wishing to register needs to provide their National Insurance Number and Date of Birth. A lot of work is going on to prepare the borough for this major change. Our electoral services team is busy making sure voters in Blackburn with Darwen are up to speed with how it affects them. The team will write out to all residents from July 28 with information advising what they need to do to keep their vote. A letter of confirmation that they are on the register and they do not need to do anything. Also all empty properties will receive a HEF –Household enquiry form – this asks for the details of all eligible residents. This form can be returned to the elections office and an invitation to register will be sent to the resident/s. The online process is simple and very easy to follow and if residents do register online there is no need to return the form back to the Elections office.